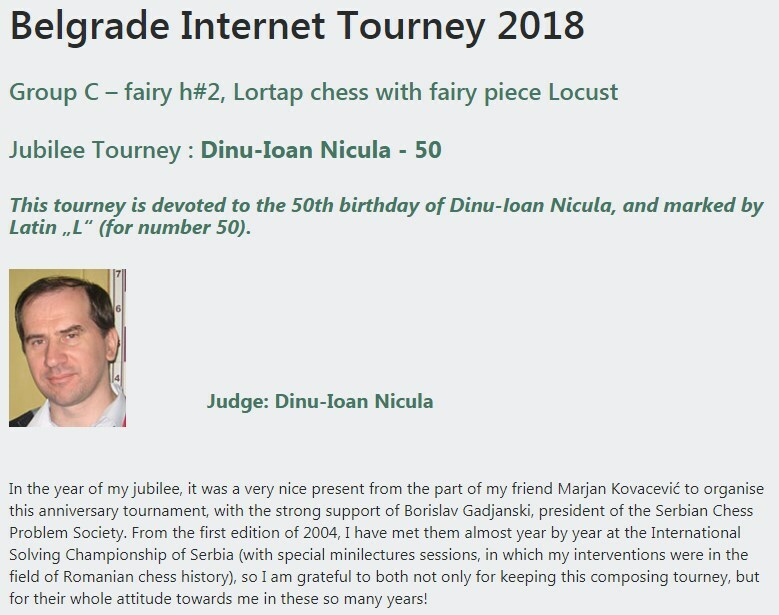 The tourney held in the frames of XIII Belgrade Problem Chess Festival 2018, as a part of Belgrade Internet Tourney 2018: Group C – fairy h#2, Lortap chess with fairy piece Locust. 1st and 2nd Prize – Petko Petkov, 3rd Prize – Juraj Lörinc, 4th Prize – S.K. Balasubramanian & Vlaicu Crisan, 5th Prize – Hubert Gockel. Petkov reigns supreme !! Congratulations !